Education, Research & Development in Social Work & IT After working as an alternative practitioner and psychotherapist in private practice for nearly ten years I stepped over to higher education in 2005. At Saxion University of Applied Sciences I lecture and do research and development in the area of Social Work, Psychology and IT. 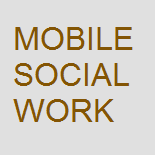 Currently I'm focussing on merging mobile technology and social work.